It's Friday - again... So, I'm working on the weekly freelance assignment. I have a new list of keyword phrases to work with - after bashing the last list about as far as I could over a two month stretch. So, in the spirit of maintaining sanity, and alleviating the brain strain of repetitive SEO writing, I'm procrastinating by dropping in here - since I think I've emailed everyone I can think of to say hi to already in between articles!! 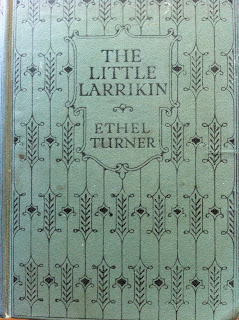 Having written last time about my Ethel Turner books, I pulled The Little Larrikin off the bookshelves the other day for a re-read. It is one of her books that really points to the distance between the haves and have-nots in a particular period of Australian history. In one small, poorly kept and poorly supplied household, a family of orphaned boys struggle to keep themselves afloat. The eldest of them is determined to keep them together, but struggles to manage on his tiny salary as a law clerk. 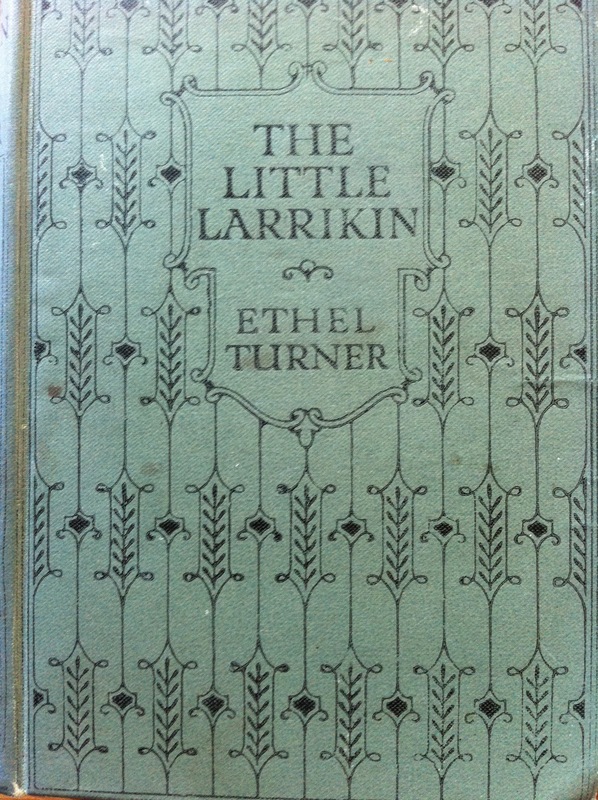 The youngest of them, the larrikin of the title, is an engaging imp for whom different social classes and the physical barriers of fences hold little relevance... On the other side of the story are two sisters, one of whom has married well and is determined that her younger, less conventional sister does the same. The link is, of course, between Roger and Linley - the poor young lawyer and the younger sister. He loves her, but knows he's in no position to ask her to marry him. She would, in a heartbeat, but is held back by her older sister. Young Lol - Laurence, the larrikin - has befriended both women, unbeknown to his older brother, and involves them in a multitude of his scrapes. Roger continues to meet Linley at various social affairs,where he is regarded as a promising young chap, but a ways off being able to make his mark. It is a lovely book, and yes, it does all come right in the end! 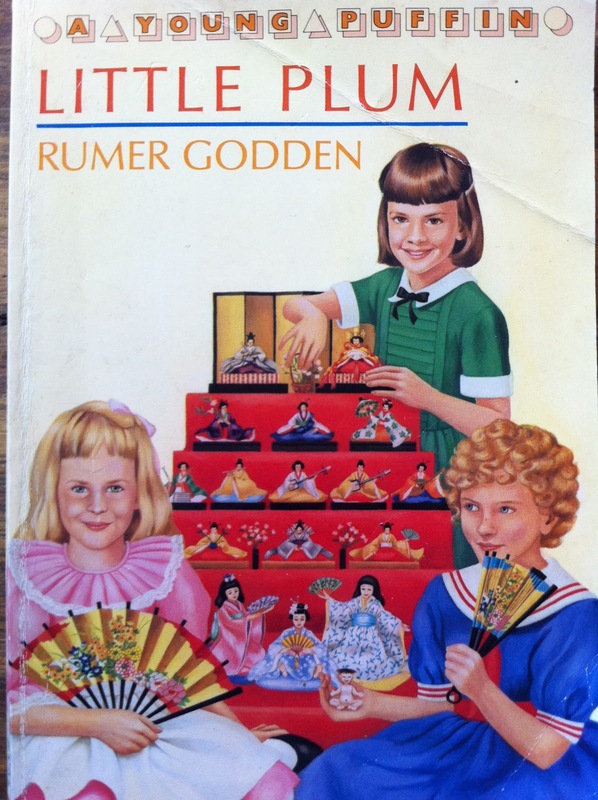 Prior to this one, I gobbled up Rumer Godden's Miss Happiness and Miss Flower and Little Plum. For those of you other book junkies who collect and read children's literature, if you haven't stumbled across Godden yet, get ye hence to the bookstores and see what you can find... My first reading of her was a gem of a book called The Diddakoi, in condensed form in a Reader's Digest book (remember those, in an earlier post?). I tracked down a full length version in paperback eventually, and the photo credit for the cover pic says it's from a BBC adaptation, but I've never managed to get my hands on that. I found the other two books years ago in the school library and my current copies are newer Puffin paperbacks with fairly icky cover art. However, the stories are exquisite. The first tells of young Nona, who has been sent by her father from India to live with her young London cousins and go to school. She's very lonely, finds everything strange and foreign, doesn't know how to manage in the give and take of a regular family and is, consequently, very miserable. Things change when a great aunt in America sends, for Christmas, two small Japanese dolls, Miss Happiness and Miss Flower. They are given to Nona and Belinda, the youngest of her girl cousins, and closest to her in age. Belinda is a rough and tumble tomboy, not much given to dolls, so she is initially happy for Nona to have them. However, when, in her endeavours to provide the dolls with a proper Japanese house, Nona enlists cousin Tom's help and starts making friends with the prickly owner of the local bookshop, her class teacher and Melly, the girl who she sits next to at school, Belinda starts to feel left out and the trouble begins... Little Plum carries on where the first book ends, with the addition of a new family with a little girl next door, a new little doll next door, and more trouble from Belinda. If you want to know what happens, you're going to have to go find yourself copies!! 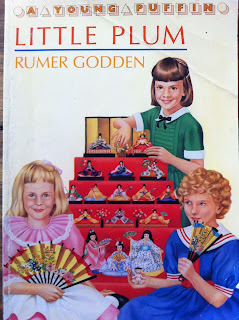 For those of you who are unfamiliar with the work of Rumer Godden, she is well worth seeking out. She is that rare beast, a writer who has written both children's and adult's fiction - equally well. She is English, but spent her early childhood in India. She and her sisters were sent back to England to boarding school and then, schooling over, were brought back to India to marry. She did, to a charming but difficult man who wasn't cut out for married life. Godden's two volume autobiography - A Time to Dance and A Time to Weep and A House with Four Rooms - is unsparing of the failings of them both. Her adventures in Kashmir with her children and eventual return to England are punctuated by her struggles to survive financially and to keep writing and get her books published.